Get to know the Sound Designer behind the sounds at Output. I’m a sound designer working with the in-house sound team. My role touches on anything related to audio – from creating presets, capturing & manipulating sounds at every level, inspecting & perfecting source material to Output’s standard, and getting my hands dirty with edits & clean-up. As well as… throwing down the best GIF game around. I always begin the day by checking emails and checking the pulse on where the sound design team is at. You can usually find me in the ‘Swamp’ (that’s what my coworkers call my sound room) making noise, designing presets, or manipulating audio. Every day has its unique calling – certain days are jammed with bug testing (gotta have that bug spray ready), taking great pleasure by piling on the development team’s TO-DOs (just kidding, homies <3) or capturing content from found sound to preparing marketing materials. This is a very long story, so I won’t bore you with all the details. Music is a life-long love since I was a little kid… If I can trace back what had the biggest impact, it would be listening to James Horner’s music on The Rocketeer. Film and video game music always had a place in my heart and remember rewatching movies – just so I can hear the score, or turning on a game and playing through certain stages just to listen to the music. Man, I would listen to the music on repeat for hours. My brother and I still have cassette tapes that we would record with the music, just so we could listen without having to do all these extra steps. My parents bought me a keyboard when I was 6 years old. I attempted to learn the main theme for scores I loved… and failed, haha. I kept messing around on the keyboard with no training until I fell in love with the guitar at age 13. I remember watching a BMX video and hearing Diary of a Madman by Ozzy Osbourne and Little Fury Things by Dinosaur Jr. I don’t know why, but these 2 songs hit it home for me. Randy’s god-like guitar playing and J Mascis loud, out-of-this-world, guitar style triggered my official start down this crazy career. That’s when I decided to pursue being a musician and picked up the guitar. It came naturally to me. I remember learning 3 chords and making a song out of those my very first day (and still know it till this day). Practicing every day and sleeping with my guitar sometimes. No joke. I learned as much as I could from classic rock, screamo (ha what a phase), shred metal, to classical guitar and jazz. I listened and played it all. 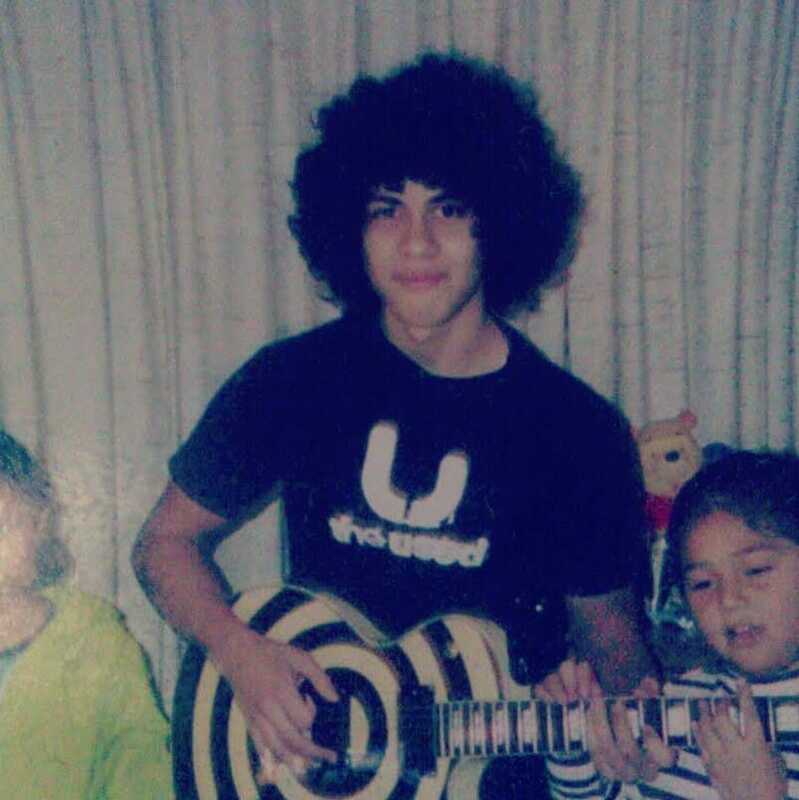 I was known as the guy who came up with crazy chords and had huge hair! Fast forward years later, my composition professor at the community college told me to highly consider a career as a composer before I applied to California State University, Northridge for their film scoring program. At that point, I was debating whether or not to pursue a career as a session musician or write music for media, having already written original orchestral pieces. This started me on a path that I am still walking today and have come a long way. Now up until then, I used to write musical pieces the old fashion way (paper and pencil) and Finale. That meant once I started attending CSUN, I had to learn how to use a DAW and a ton of catching up to do, but that never slowed me down. From there, I got into sound design, audio manipulation, aural synthesis… and continue to write music every day & live to learn all that I can. It’s tricky for sure. When I’m here at Output, my focus is 110% on my job to ensure our products are awesome. Once I’m off work, it’s straight home to be with my wife and work on scoring projects. One thing I’ve learned over the years is how to make use of the time I have for scoring gigs. I can easily write 2-3 minutes of music a day by just blocking out all social media and being “in the zone.” Of course, this is a skill that didn’t come naturally. It takes focus and dedication. Also, all the film and media projects I worked on thus far would not have been possible without the help of my colleagues, friends, and family. Especially my peers at Outlier Studios. We help each other with additional music, sound design, score prep, and listening to cues to give feedback. It’s essential to grow as a creative by helping each other out and sharing your work and vision. We as composers are just as passionate about storytelling as filmmakers are…that’s why we’re in this business. We’re all in this together and make music to help tell the best stories we can. Then, all my extra free time is spent with my wife and family. That means very little time to hang out with friends, but when I do, we plan hard. Right now, I’m finishing up a feature film and a short, and already have another feature booked with a couple of shorts lined up. Also, constantly sending music to the awesome team SCORE A SCORE to be pitched for ads, commercials, and so on. I write every day no matter how tired I am – whether it be a score for a project or just for fun. Usually means I go to sleep at 2 am, but that’s okay. So long as I get 6 hours of sleep! Nature is such an inspiring force for me. I recently heard the syncing & separating of bullfrog symphonies at this year’s FORM Festival. The experience transported me into another world entirely (like landing on the outer planets in Firefly). The love cries must have resonated with many others, as we built an virtual shrine/sound installation. I also have a YouTube channel called Tune in with Chewie. This is a side hustle/passion project I started last year. For my own joy and whenever I have time, I’ll rearrange a video game tune I love. This sprang from my desire to do arrangements of anime tunes, film scores, and popular tunes if I feel that I can do my own unique spin. Reharmonizing is my favorite thing to do – using different instrumentation when compared to the original. Hard to say really. I’m a huge harmony nerd, especially of jazz harmony (love extended chords). As mentioned earlier, I was known for trying out wacky chord progressions and using colorful chords. If there’s a chord I can identify with and find myself using a lot, it’d have to be a minor 11th chord. There’s a calming quality to the sound depending on how it’s voiced. I’m a big fan of Japanese composers like Joe Hisaishi, Nobuo Uematsu, Yoko Shimomura, and Toshihiko Sahashi (just to name a few). I grew up playing games and watching anime with music composed by Japanese composers. They love their minor 11th chords…jazz goodness. It’s a sound I grew up with and can easily recognize; probably why I have a highly developed ear for these things. So yeah, I suppose this would be the most beautiful sound for me. Easy. 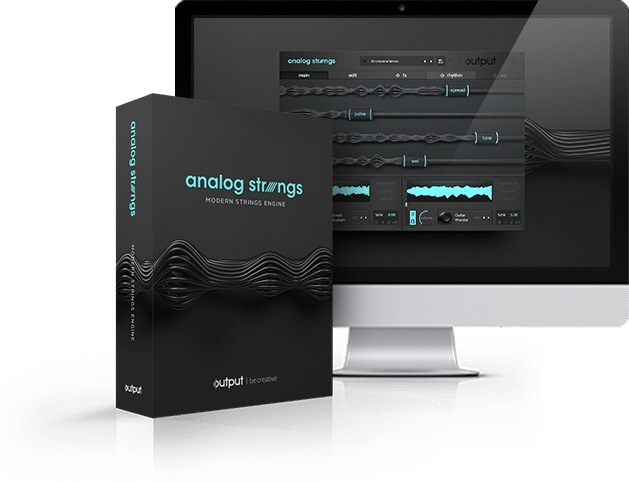 Analog Strings. This is a sound I’ve been wanting to be captured on a software instrument for a very long time. I find myself using it all the time to spice up a cue. I have plenty of presets I’ve created that did not end up in the final product that I still use for projects. I love recording live strings and then layering it with Analog Strings. Throw in some Movement and now we’re talking. In fact, if you listen to some of the tracks on my YouTube channel, you’ll hear exactly that. Now that Analog Brass & Winds is out though, it’s slowly becoming my favorite.